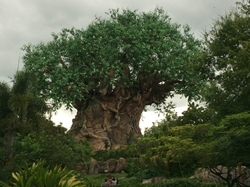 Sacred trees offer a path to develop a stronger relationship with Mother Earth in a multitude of ways, including the Native American Sacred Tree, the Tree of Life at the Walt Disney World Animal Kingdom, and the Avatar movies. In the early 90s I had the opportunity to help lead the 150 person Global Environment Team at the Earth Summit in Rio de Janeiro, Brazil. At the Earth Summit, a centerpiece of the Global Forum was a sculptured Tree of Life. Children from around the world sent messages of their hope for the future printed on paper leaves that were then placed on the Tree of Life, thus making the tree come to life with both leaves, and hopes and dreams for the future. Shortly after the Earth Summit I met Chief Phil Lane Jr, a hereditary Yankton Sioux Chief, and Executive Director of Four Worlds International, who shared with me his work on the Sacred Tree. 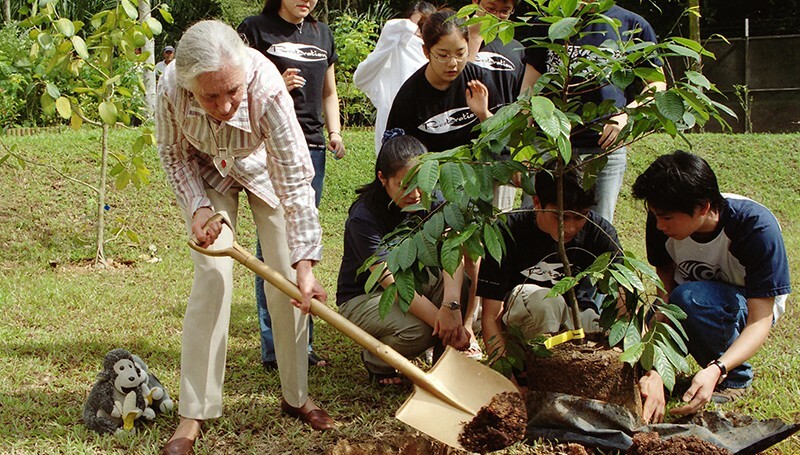 Through a grant from the U.S. EPA, Phil and I were able to collaborate to further develop the new Four World's Earth Ambassador program based on the work of the Sacred Tree. 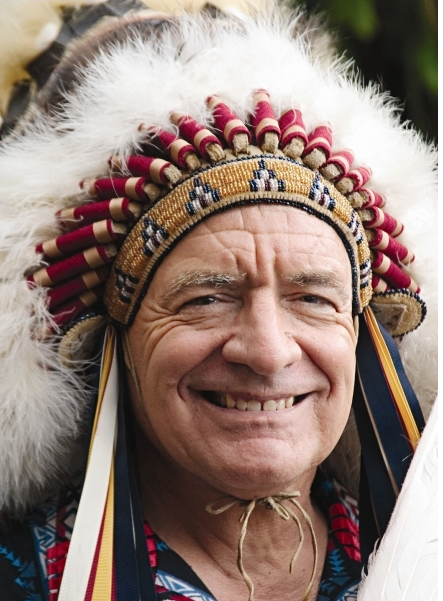 In addition to national training programs, Phil and I developed a new curriculum to bridge the various concepts of the Sacred Tree for the Judaeo Christian faith and Native American traditions, and then began to expand to other spiritual traditions around the world. In the process I learned that there are many concepts of the Sacred Tree, both from spiritual and individual perspectives. In spiritual traditions Hindus have an affinity with the Banyan Tree, the Evergreen / Christmas Tree with Christians, the Bodhi tree in Buddhism, the Palm Tree in Solomon's temple was depicted as the Tree of Life, and Cottonwood Trees are sacred trees in some Native American tribes. As a child we had a huge willow tree in our backyard. Kids from around the neighborhood would come over to climb our tree, as it was the largest tree in the area. It was also a source of shade in the hot summer days, and scared my younger brothers with the swaying branches in the night wind. Later on when I lived in Colorado the Engelmann Spruce became a special tree to me. 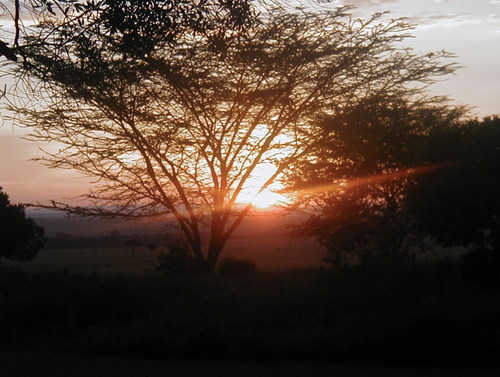 When I traveled to Kenya, Africa, I learned from the Masai spiritual leaders that the Mugumo trees are sacred. 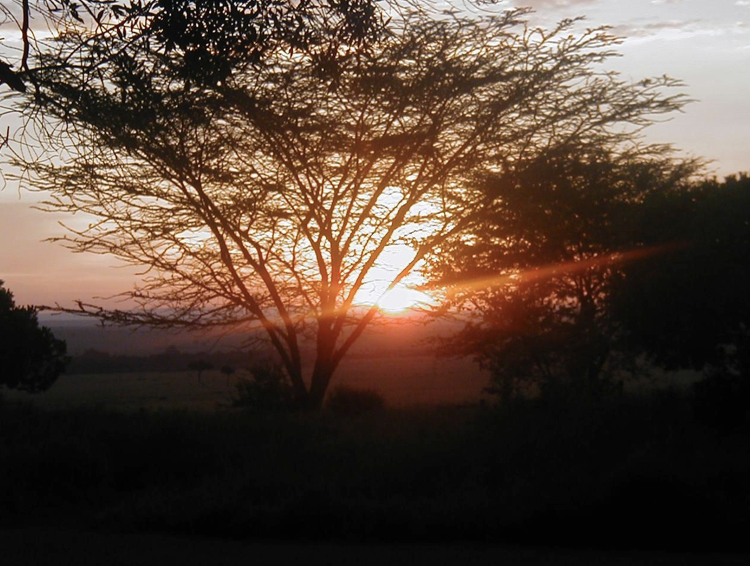 My Masai friend, Olekema, the son of the tribe's spiritual leader, told me that their ancestors inhabited these trees after they died. Each morning I watched the sunrise behind one of these sacred trees as new energy was brought forth for each new day. In the process I gained a new appreciation for how sacred trees connect us with Mother Earth. I grew up in England, and I used to spend a lot of time up in a very special tree. He was known, simply, as Beech - and I am looking out at his spreading branches as I write. For hours I stayed up there, feeling close to the birds and clouds and wind. I climbed up with my homework, with a book, or simply with my thoughts and dreams. There I learned my respect and love for nature. There I dreamed that one day I would go to Africa. Then, for millions of years, as our ancestors began to spread across Mother Earth, as they gradually learned to walk upright, to use tools, to hunt for animals, to use their skins to keep themselves warm, to harness fire and cook food, they lived in harmony with nature. The people of the First Nations learned to respect Mother Earth and the riches she provided so generously. They did not greedily take from the land more than they needed. AIas, the selfish wasteful ways of modern humans is destroying Mother Earth. Careless use of water has lowered the water tables, unlimited burning of fossil fuels is contaminating the air, burning up the ozone layer, contributing to the gradual but relentless warming up of our temperatures around the globe. Thoughtless, mindless use of pesticides, herbicides, fungicides and chemical fertilizers is poisoning Mother Earth, destroying life forms that took millions of years to appear on our planet. We celebrate this Mother Earth Day with the new knowledge of science that we may have already entered the Anthropocene Era, a new geological era where the impacts of human beings on Mother Earth's planetary systems now have significant impacts that the Earth can no longer self-correct on its own. In the Anthropocene Era the most serious and potentially most destructive environmental problems have to do with transgressing planetary boundaries such as climate change, ocean acidification, nitrogen/phosphorus overload, loss of biodiversity, chemical pollution, ozone depletion, aerosol overloading, fresh water use, and deforestation. The Sacred Tree will help young and old alike to make better choices as they move through life, choices that will help to restore our planet before it is too late. 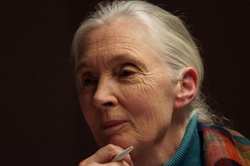 My own Roots & Shoots movement, the environmental and humanitarian program of the Jane Goodall Institute that aims to empower young people to take informed and compassionate action to make our world a better place for all living things, is a natural partner for Four Worlds International in this venture. Another example of the use of the Sacred Tree for building a stronger relationship with Mother Earth is found in The Walt Disney World Animal Kingdom. 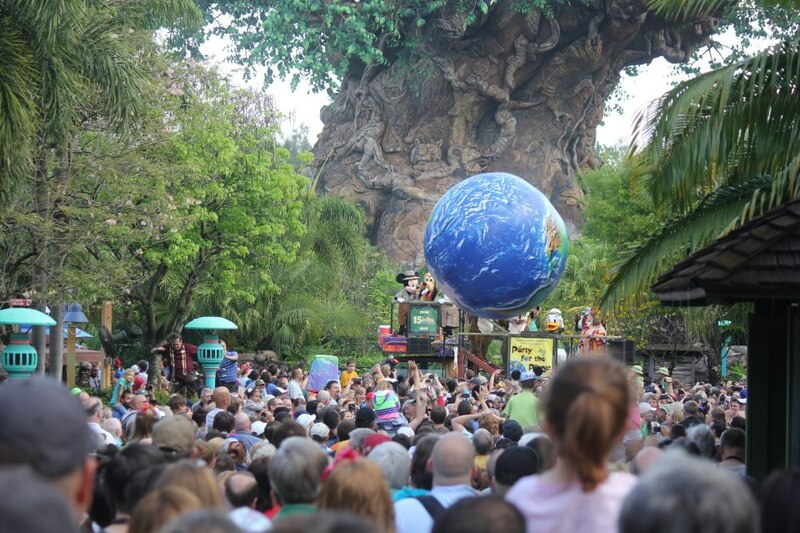 The Disney Animal Kingdom celebrates Mother Earth Day every year with its own Party for the Planet. The Walt Disney World Animal Kingdom was actually opened on Earth Day in 1998 so the day is also a celebration of its anniversary. The centerpiece and the icon of the Animal Kingdom is the 145 foot high Tree of Life. Sculpted into the tree are almost 400 different animals representing the animal kingdom. Walt Disney Company goals for the Animal Kingdom include, helping people better discover their connection with the natural world, connect with the animal kingdom, and inspire people to take actions for conservation. Sustainable businesses practices are actions by a business that indicate the practice of social responsibility. In recent years, the term has come to refer to a company's relationship with its surrounding environment and its use of the air, water, land, forests, animals, minerals, fossil fuels, and other natural resources, which are all finite. The wise use of such natural resources by a corporation is ultimately in the best interest of the corporation. By preserving these resources, the company assures that they will be available for present and for future needs. 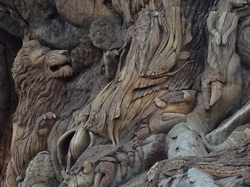 The Disney mission to protect nature is exhibited and messaged throughout the theme park with the Tree of Life serving as the centerpiece, bringing all of these concepts together. The Disney Animal Kingdom is also developing a new Avatar Land based on the movie Avatar by James Cameron. 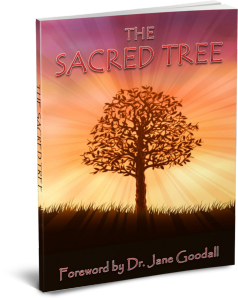 In the book, The Sacred Tree, Indigenous values and traditions are taught as a primary key to unlocking the spiritual force of the Archetype of the Sacred Tree that will move us on the path of personal growth and development. 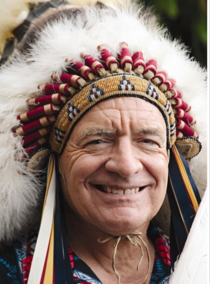 Indigenous Elders prophesy that by returning to the life-preserving and life enhancing spiritual values and guiding principles of the Sacred Tree, Indigenous Peoples and the Human Family will be awakened and transformed. Specifically, James Cameron says that Avatar is a message to stop damaging the environment. • The current attitude that: "We're here, we're big, we've got the guns, we've got the technology, we've got the brains, we therefore are entitled to every damn thing on this planet." is at the root of much of our current environmental problems. • That "It's a way of connecting a thread through history. I take that thread further back to the 16th and 17th centuries and to how the Europeans pretty much took over South and Central America and displaced and marginalized the indigenous peoples there." All three of these examples of the Sacred Tree share the common understanding that there is a need for a stronger relationship with Mother Earth. We need more than just good stewardship, we need a good relationship. Jacques Cousteau was fond of saying "People protect what they love". Perhaps part of the solution to our current ecological crisis may be to learn to love ourselves more so that we are able to love Mother Earth more. Carl Jung said that he was convinced that it did not matter whether we looked in or out, we saw the same things. Can we really be concerned about polluted rivers when we are not concerned with our polluted bloodstreams? Can we care for the Earth without learning to care for our bodies? Can we manage energy resources without learning to manage our own internal energy? Can we solve air quality behind smoked filled rooms? Our bodies regulate our temperature to stay around 98.6 F. (37 C.) If our body temperature rises just 3.6 degrees (2 C. ) we become very sick. If our temperature rises 7.2 degrees F (4 C. ) we become unable to function very well and in some cases may risk death. Scientists are telling us that if our global temperatures rise 2 degrees C., we will begin failing crop yields particularly in developing countries, small mountain glaciers will disappear with water supplies threatened in several areas, and we will see increased damage to coral reefs. If we see global temperatures rise 4 degrees C., we will see worse crop failures, the beginning of failing crop yields in developed regions, significant decreases in water availability in many areas including the Mediterranean and South Africa, rising number of species facing extinction, rising intensity of storms, forest fires, droughts, flooding, and heat waves, and increasing risk of extreme climate disruptions. Perhaps our current ecological crisis is telling us that something is wrong with our relationship with ourselves, our relationships with each other, and our relationship with Mother Earth. The word crisis in Chinese has two meanings. The first is danger and the second is opportunity. The danger is clear, the opportunity is perhaps more difficult to realize. I would like to suggest that one of the opportunities that we have, is for this Earth Day and every day thereafter, to remember our own Sacred Tree and use that relationship as a first step to developing a better relationship with ourselves, our fellow creatures on the planet, and Mother Earth. Today it seems clear that it will not be political leaders or new policies that will save us from environmental destruction though they can help us along, nor will it be a national revolt as envisioned by the religious zealots of our time. Rather, if we are to once again obtain balance and harmony with nature, and good relationships with ourselves and each other, it will most likely be through our efforts to develop new norms for living from what Albert Schweitzer termed an ethic of a reverence for life. In Schweitzer's ethic for a reverence for life he called for an awareness that all life has a will to live in the midst of other life with a will to live, and thus there is a need to develop an ethic of a reverence for all life. One day, traveling with the entertainer, John Denver, we had this conversation about Schweitzer's ethic. John was moved in the coming weeks to write a song from that conversation that also became the title for his album, "I Want to Live". We need to begin living this ethic of a reverence for life with an understanding that we all want to live. This Mother Earth Day is a good day to begin. I conclude with a thought from the gentle and plain-spoken environmentalist, Dr. Seuss, writing just after the first Earth Day in The Lorax. So please, this Mother Earth Day, begin the journey to the Sacred Tree and begin showing love for yourself, your fellow creatures on the planet, and for Mother Earth!